Winnetka Children's Hour | Winnetka Children’s Hour is dedicated to bringing live, quality entertainment to children and their families. Winnetka Children’s Hour is dedicated to bringing live, quality entertainment to children and their families. Winnetka Children’s Hour is dedicated to bringing live, quality entertainment to children and their families. Our annual original musical is tailored to meet our young actors’ interests and talents. We are committed to providing a non-competitive, collaborative theatrical experience. Everyone is involved, from the first written word to the final curtain call. Profits raised from our performances are used to bring creative programming to children outside of our own community. 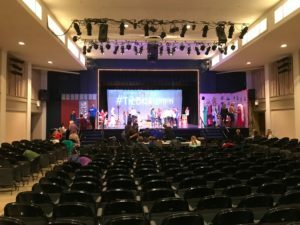 Since 1932, Winnetka Children’s Hour has had a mission to “bring entertainment to children of the North Shore.” For over 86 years, Winnetka Children’s Hour has done just that, creating its Saturday Morning Programs at the Community House, which included animal performers, magicians, cyclists, puppets and more. In recent years Winnetka Children’s Hour decided to refocus its efforts to expand its mission to reach children outside our own community who lack exposure to the preforming arts. Profits from our annual musical now go to fund our Outreach program. 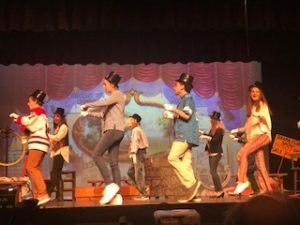 Every year the organization produces an original musical, written by the board members (and sometimes the child actors) with local children ages 5-14, performing in the show. 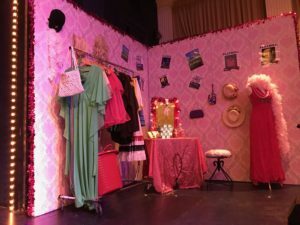 The performances happen in early February each year at the Winnetka Community House’s Matz Hall on Thursday, Friday and Saturday. 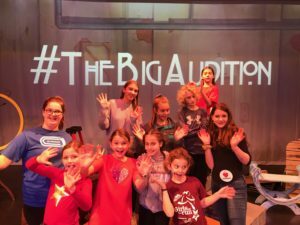 Involvement in Winnetka Children’s Hour is a wonderful opportunity for children to be on stage while learning about a show’s production and having a great time making new friends across age groups and different schools. The board members and the director adhere to establishing a non-competitive, “low-key” and fun atmosphere. The older children typically get the larger parts, and talent levels vary, but every child is well represented in the production. Cast members receive their parts at an evaluation that takes place prior to Thanksgiving. Each child is asked to be available at most rehearsals for which they are scheduled. Rehearsals begin end of November. The WCH play is produced solely by board members and requires a commitment from every member with a focus of activity in January and the first weeks of February. The board involvement results in a positive experience for your entire family and enables us to support our commitment to entertaining children in our community and beyond.